In addition to the Mau Complex, the Ogiek Peoples live on the slopes of Mount Elgon in Kenya. This documentary shows the Ogiek’s relationship to their homeland and to the world. An indigenous people without official minority status in Kenya, the Ogiek have gone through evictions from their native land for decades. Time after another they have returned to their land to continue living in the forest. The documentary is the Ogiek’s story, in their own words, of their hopes before the 2013 Kenyan elections. It was filmed in Chepkitale, Mt. Elgon in 2012 during a Participatory 3D Mapping (P3DM) workshop. Through developing a 3D map of their land, the Ogiek not only strengthened their cultural identity, but could show that the land said to belong to someone else, is rightfully theirs. 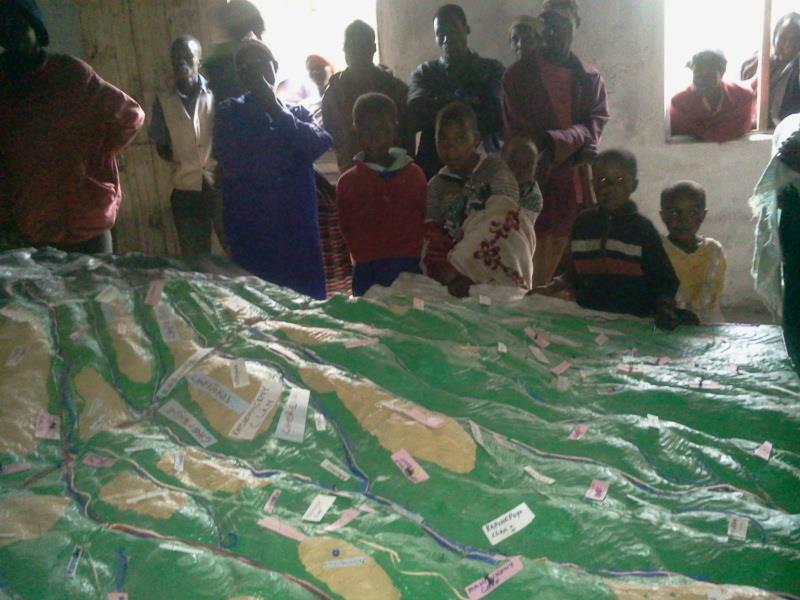 As a result of an intense community process of mapping and dialogue, the Ogiek of Mount Elgon, Kenya, have written down their customary bylaws for the first time, in order to ensure the continued conservation of their ancestral lands and natural resources. As one Ogiek community member explains: “We have never conserved. It is the way we live that conserves. These customary bylaws we have had forever, but we have not written them down until now.” This short video explains more about these bylaws and gives the Ogiek’s views of development and conservation.